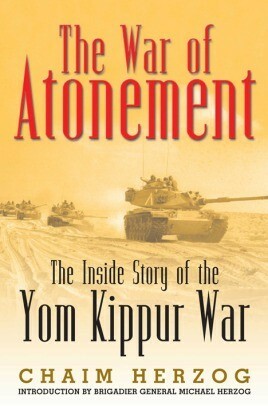 This is the authoritative account of the Israeli Army’s performance in the bitter Yom Kippur War of 1973. The origins of the war in the turbulent history of competing powers in the Middle East are fully explored, as is the build-up of Arab forces that almost caught Israel by surprise, and the realisation of the Israeli leadership that they would once again have to fight against overwhelming odds for the survival of their state. A gripping narrative of the conflict itself, punctuated by firsthand accounts and interviews with combatants, The War of Atonement is full of drama and tales of inspirational bravery. An analysis of the political implications of the conflict bring this epic tale to a close. For this edition Chaim Herzog’s son, Brigadier General Michael Herzog, has written a new introduction which places the book in the context of his father’s achievements, today’s politicial situation and includes a revealing insight into the man himself. This is the most comprehensive work on a conflict that has had major implications for our own troubled times. Chaim Herzog served in the British Army in World War II and in the Israel Defence Forces. Later he became Director of Israeli Military Intelligence, Israeli Ambassador to the United Nations and President of Israel. His other books include Battles of the Bible (co-authored with Mordechai Gichon), The Arab-Israeli Wars and his autobiography, Living History. …exciting, informative, and leads to a new understanding of how we arrived where we are today in the Middle East. When this book was first published in 1975 it was widely acknowledged as one of the best accounts of the Yom Kippur War, and it still is.